Cosmetics is one industry that relies a great deal on branding and product design. Over the last few years, a variety of companies have introduced eclectic products that can help a user enhance his or her beauty. Cosmetics is one industry that relies a great deal on branding and product design. Health and beauty labels are among the important reasons behind the success of a product. Performance Label Company (PLC) understands the importance of a well-designed label. We provide printed health and beauty labels to help cosmetic companies enhance the appeal of their products. We utilize eye catching colors and textures help enhance the aesthetic appeal of your product. We can print labels according to a design family provided by the client, or create a custom label from scratch. We also utilize a complete set of dies, which allows us to create the labels in the shape and size that customers require. If required, we can also embellish the labels using embossing and decorative foil stamping methods. We create custom beauty labels for products with glass, plastic, and rubber surfaces. We ensure that the colors used in the label design matches with the colors of the product. Our beauty and health labels can be used in the following applications. At PLC, we strive to meet every need of our customers. We can provide beauty and health labels in the quality, size, and budget that you require. 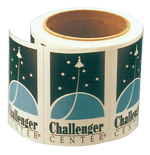 We can also provide custom clear or sensitive film label solutions for special requirements. Customers can be assured on time delivery every time. If you would like to more information regarding orders or prices, you can Request for a Quote, Request for a Sample, or Place an Order. If you have any queries, please feel free to contact us.